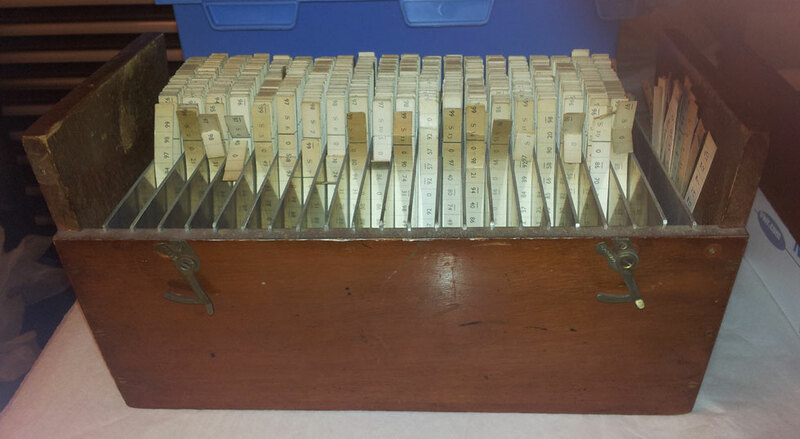 The team at Oxford’s Dunn School of Pathology had proved the value of penicillin. But what was penicillin itself? If its structure could be established might it be possible to synthesise it on a large scale rather than relying on the growth of mould? One of the leading figures in the study of molecular structure was also based in Oxford. 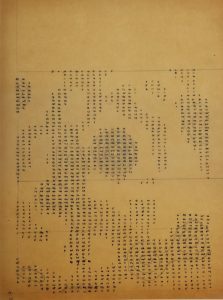 Well aware of penicillin’s medical significance and its wartime value, Dorothy Crowfoot Hodgkin used the technique of X-ray crystallography to study its basic structure. The work was painstaking, extending from 1941 to 1945. 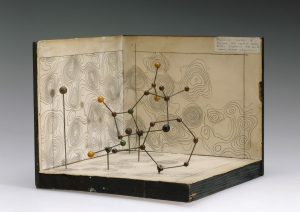 The deciphering of penicillin’s molecular structure was a major scientific achievement but did not immediately result in the synthesis of penicillin. 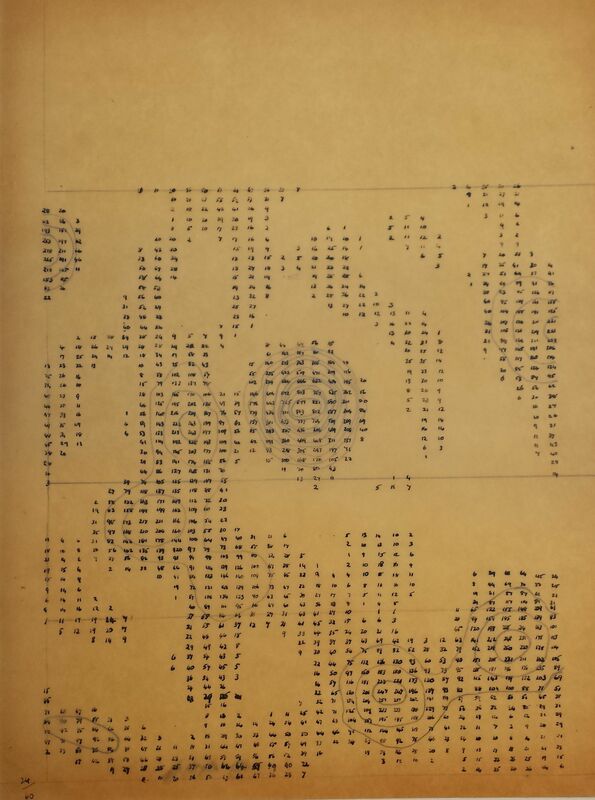 The scattering of X-rays fired through a crystal was captured on photographic paper. The challenge was to work out the atomic structure that produced the characteristic pattern. Analysing the photographs allowed individual slices through a molecule to be drawn up. 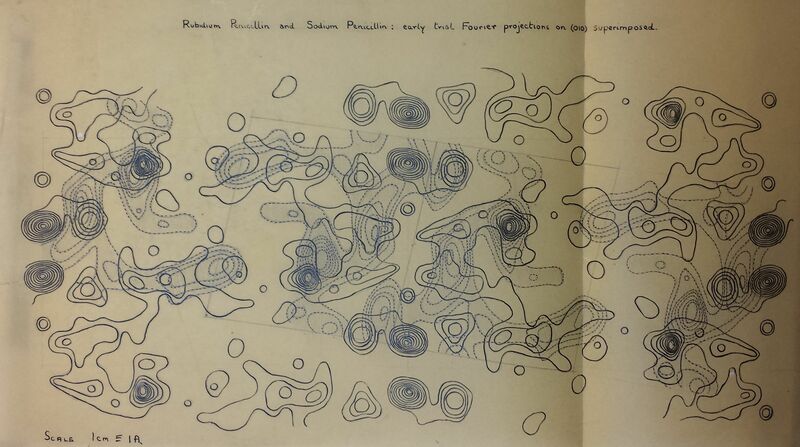 Hodgkin carried out the initial calculations manually with a set of special-purpose printed paper strips. She and her team then plotted the results, ultimately for 108,000 points in the molecule. 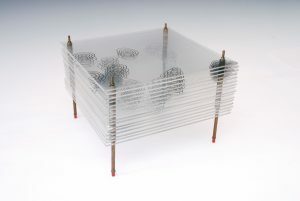 Two-dimensional contours of electron density followed and, with the help of her sister, these contour sheets were drawn on perspex and stacked to visualise the molecule in three dimensions. Finally, Hodgkin made a traditional ball-and-stick model surrounded by the patterns of electron density. Despite the intensity of this work, life continued. With her husband teaching in Newcastle, Hodgkin had to tell him of the imminent arrival of their second child by telegram . Later she announced success with penicillin by postcard: ‘Think we really have found out something for certain about P. Am extremely cheerful.’ . The research was classified as a wartime secret but news leaked out to scientific friends and colleagues. 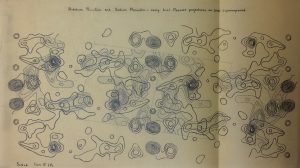 In a world where science was still predominantly male, the celebrated molecular biologist William Astbury was quick to recognise her work as a triumph for crystallography, women, Oxford and Somerville College.